These photos were taken during a residential carpet cleaning in Tampa FL. The couple renting the home had moved into what they thought was a relatively clean rental. A few days after moving in these dark spots started to appear on the floor. They vacuumed and vacuumed and tried to keep the carpet clean but the spots just got darker. They called the leasing company about the spots and the leasing agent told them that the spots were not there before they moved in so it was their problem. They were also told the carpets had been cleaned before they moved in and there should be no spots. After getting nowhere with the leasing company they decided to get it cleaned themselves. They called me at Chem-Dry of Tampa FL to have their carpets cleaned. After listening to their story I explained that after a traditional carpet cleaning some residues might still be on the carpet. Things like soaps and sugars can be in the carpet but not visible. 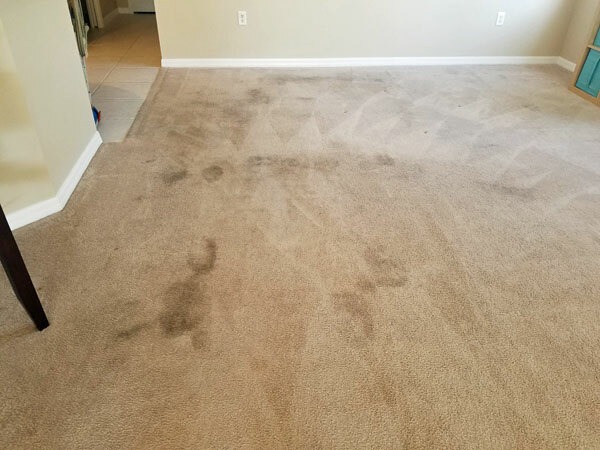 After walking back and forth over those areas with residues the carpet will start to collect soil and begin to look dirty . This is what happened to this couple. The previous carpet cleaning had removed the soil but left dirt attracting residues behind. 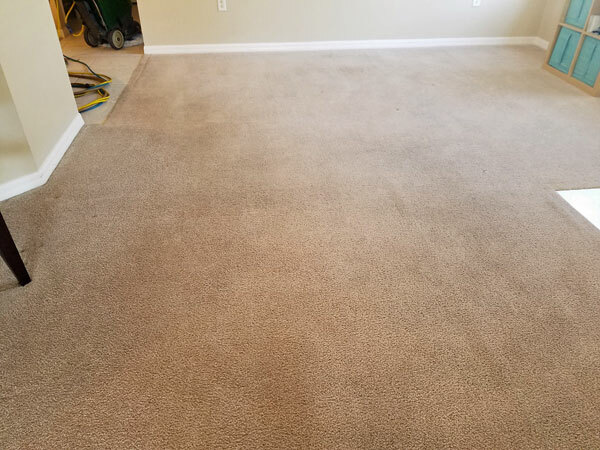 Using Chem-Dry's hot carbonated extraction carpet cleaning process I was able to remove the dark spots and dirt attracting residues from the carpet. The spots should be gone for good now. At Chem-Dry of Tampa we guarantee your satisfaction so if the spots return so do we. For carpet cleaning in Tampa FL call Chem-Dry of Tampa.